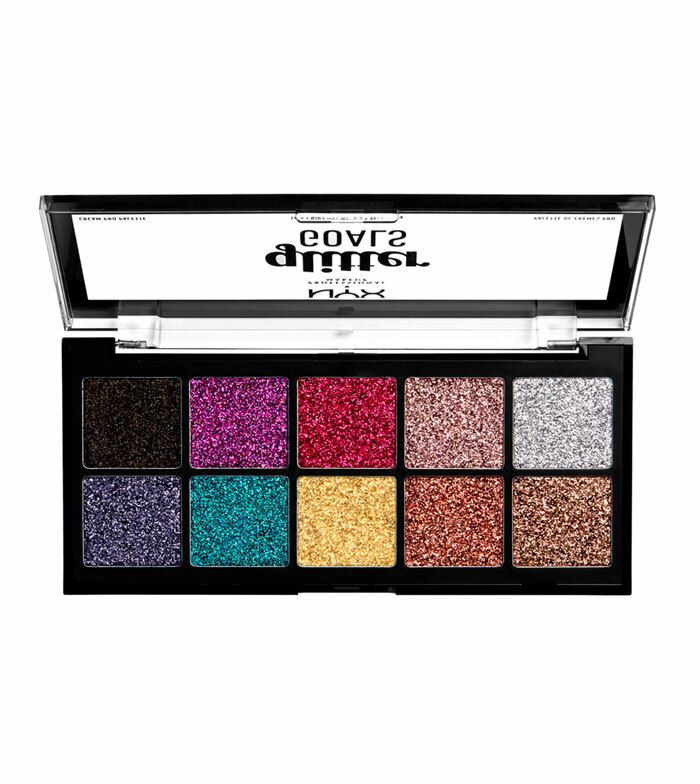 Pressed glitter palette of silky texture with which you will be able to give luminosity to your looks. Bring a fun touch to your face or body easily, thanks to its compact formula. 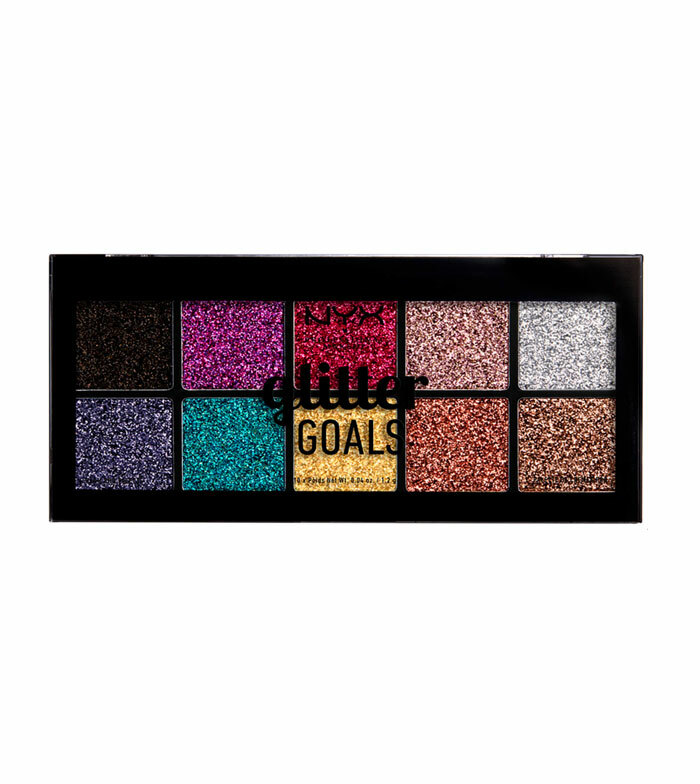 It includes a wide range of ten radiant shades of creamy texture. When it comes to brightness, it's never too much!